Image from tshirtbordello.com. It is a strangely satisfying word, though. I’ve met Mihaela before, when she visited Australia, and she did a great job on keeping the panel going, as well as contributing some excellent swear words of her own. Of course, the authors present did a great job of swearing like a variety of troopers from a range of different timezones and militaries, but there are important aspects to this, which were also excellently covered. 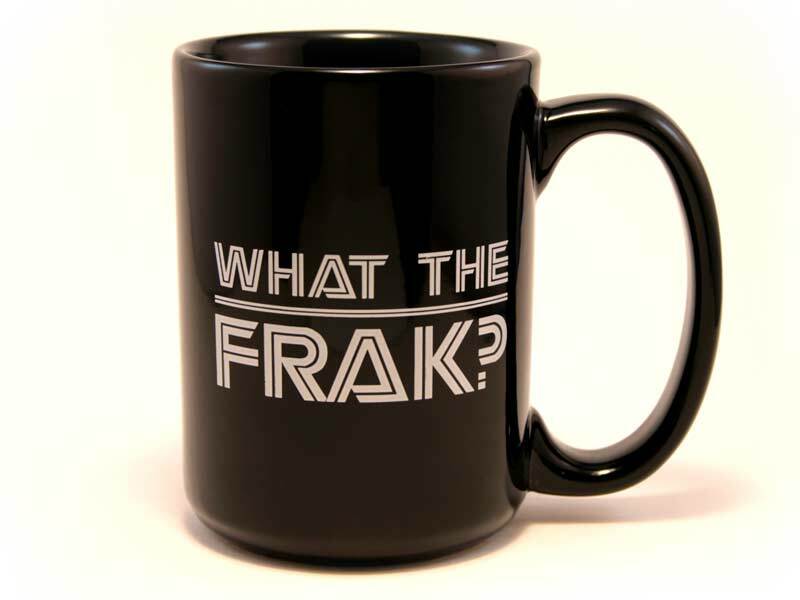 Swearing in science fiction and fantasy is occasionally a minefield of anachronism, but then, there’s often nothing weirder than hearing someone yell “frak”. Or even worse, a teenage character that refuses to curse at all. This panel will explore swear words in the genres. What purpose does swearing have within a society? What purpose does it serve in fiction, and how important, or not, are profanities to the narrative? When are invented curses more (or less) effective than real (contemporary or historical) examples, and why? The general feeling was that conveying emotion is important and that swearing is an important part of this. It feels really hollow when a hardened space pirate says something like “Oh, dash” and this matters when you’re trying to convey the sense of reality required to hold up the parachute silk of disbelief. There is one issue, which I raised in question time. Given that many young people do not have the delightfully proper middle and upper-middle class upbringing we see so often in Young Adult fiction, it’s positively disingenuous to remove swearing from certain works because that is the world those kids are growing up in. When people have fewer words at their disposal, they make use of the ones that they have. We know that children in the US from non-educationally successful backgrounds, with few books, can have a vocabulary deficit measured in the thousands of words and, probably, a lot of their emotional conveyance is going to come from the use of swearwords, whether we like it or not. When someone picks up a book, they have to have a reason to keep reading, either by seeing themselves in there or just being really interested. When YA is a sterile “Boy’s Own” adventure of “Gosh” and “Golly”, this would seem farcical to a teen who is told to take out the f-ing garbage at night or they’d be in the s*. (Bowdlerised to keep my blog’s general rating, embarrassingly enough.) There’s an important issue in reaching the reluctant reader and we’re already aware of how much certain areas of education, such as Computer Science, have to be hidden from peer groups for not being perceived as “cool” enough. Panellists may have a completely different opinion on this so I welcome followups! Thank you! I’m not sure I have much to add to this, broadly speaking I agree with you. I can see it being a difficult sell for a YA novelist, I can see outrage from certain type of people but it almost needs to happen to retain the interest of young readers. I suspect that there are other areas of adolescence that need to be looked at in YA books and in many ways the best people to do it are young writers. Thanks, Gavin. It is going to be a difficult sell and I completely understand why many authors (and publishers) would be worried about the inevitable backlash. I wonder if different publishing avenues, such as Amazon, might offer some way around – the only problem being then you need a device to read it! Any publishers out there who might be reading this: are you ready for an authentically sweaty 14-year old resident of a dystopia?